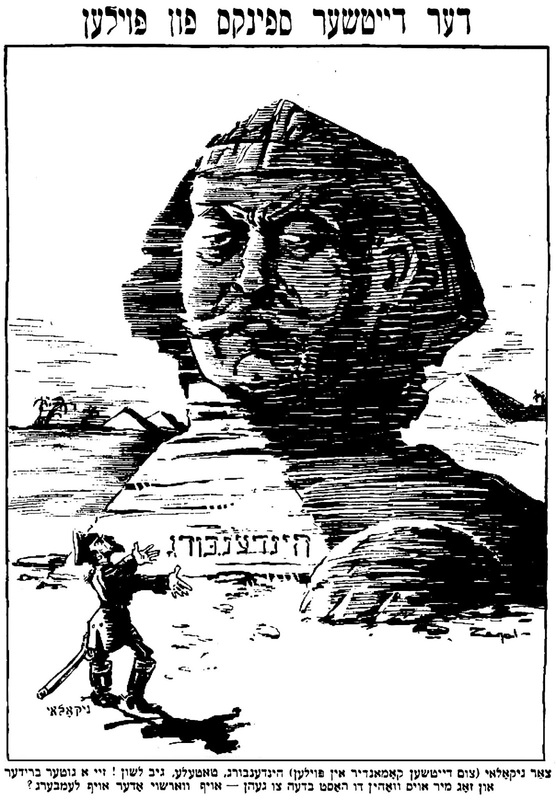 Samuel Zagat drew this political cartoon which was published in the Warheit on January 6 1916. Paul Ludwig Hans Anton von Beneckendorff und von Hindenburg would always be referred to in the Gimpel comics as a figure of great might and competence. Czar Nikolai (to the German Commander in Poland, Hindenburg): Little father, give voice! Be a good brother and tell me where you plan to go: to Warsaw or to Lemberg?